The Villas at Tristant is located in the Mountain Village adjacent to the Lower Village Bypass ski run. 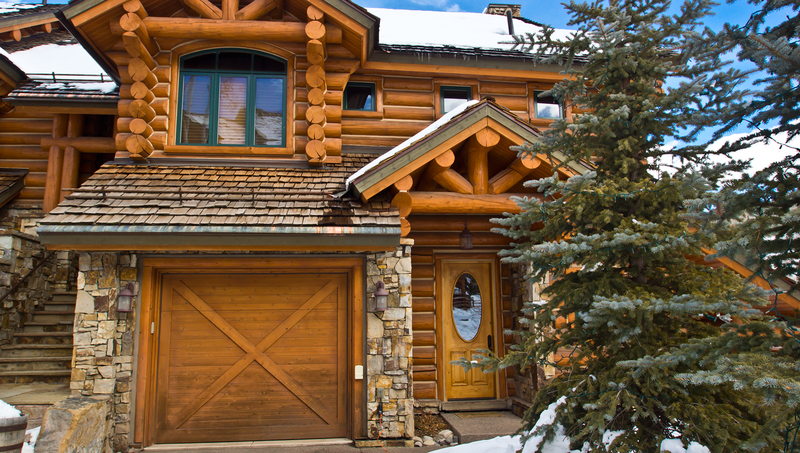 With its own private lift, the Tristant offers ski-in/ski-out convenience. 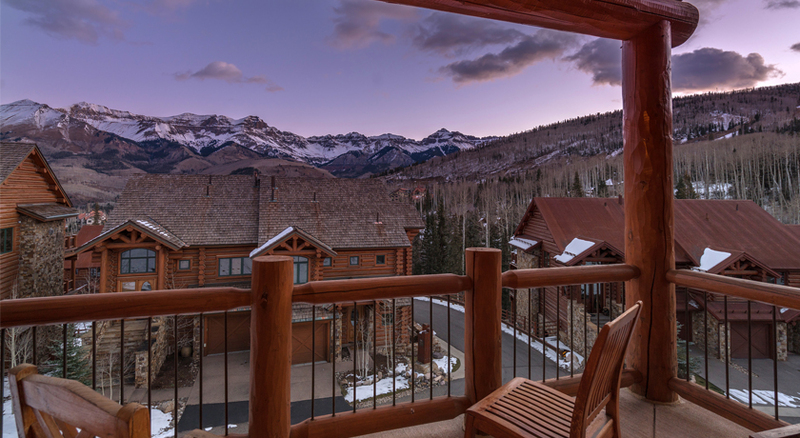 3 or 4 bedroom townhomes are indivdually appointed with a choice of amenities including private hot tub, fireplaces, and spectacular views. 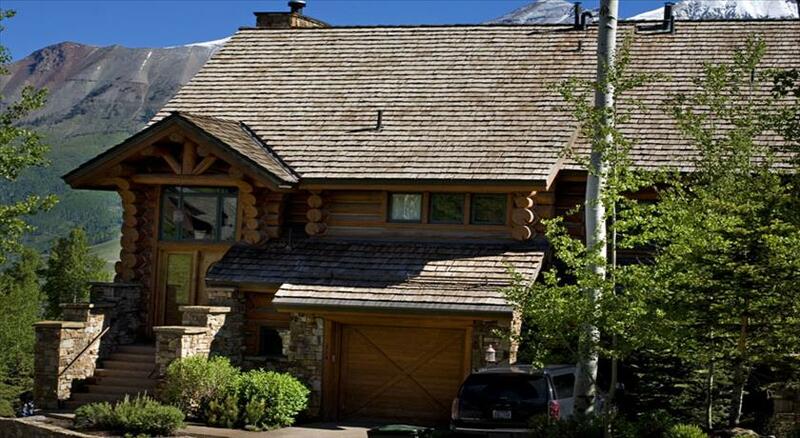 Custom built residence in Mountain Village just steps from ski access! This luxury condo, with professional interior designs, is accessed one of two ways - through the main front door half a stair case up from street level or through the private one-car garage. 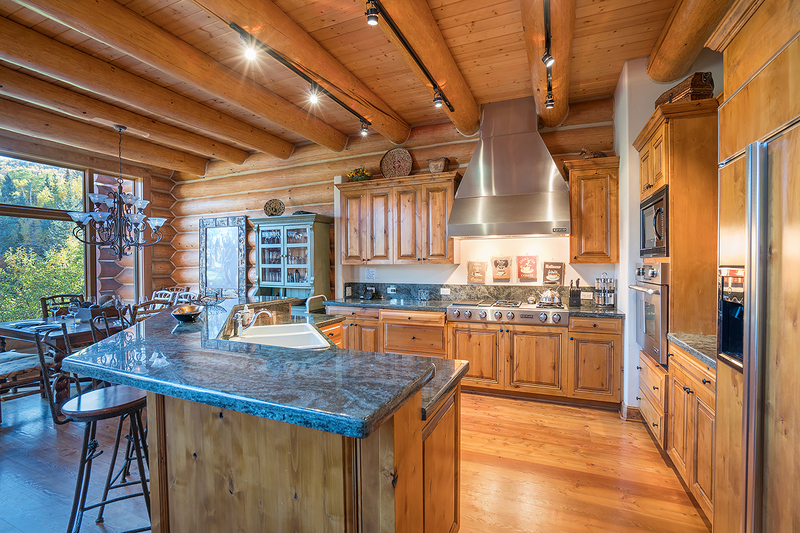 From the garage you enter onto the mid-level floor where you will find the master suite with a king bed, a private deck, a flat screen TV and a large en suite bathroom with a jetted tub and separate steam shower. 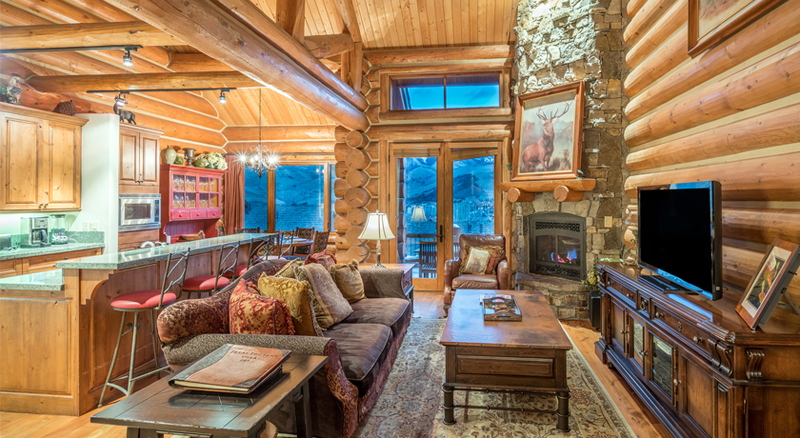 On the top floor you will find the living room with leather furnishings, flat screen TV and gas fireplace, next to the gourmet kitchen and dining area for 6 guests. 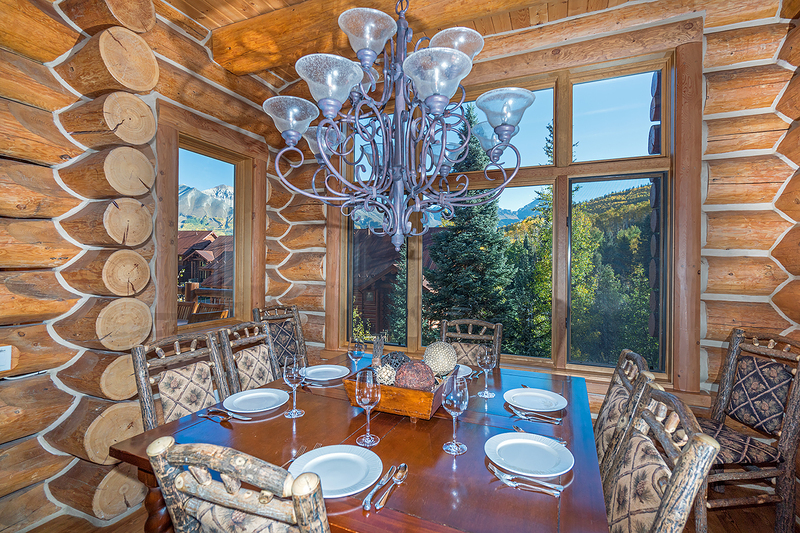 There is also a deck on this floor with grill and incredible views of the San Sophia mountain range. The 2nd bedroom is also located on this floor with a split king bed and full bathroom. On the lowest floor is the 3rd bedroom, also with a split king bed, deck and an en suite bathroom. The private laundry facilities are also on the lowest level. The villa has a private outdoor hot tub (accessed from the bottom floor), wireless Internet and a private heated 1 car garage. There is also room for another vehicle in the driveway outside the garage. Guests at Villas at Tristant enjoy easy ski access through a funicular lift just steps from the residences. The lift takes just a few minutes to ride and drops you off at a convenient location on the Village Bypass ski run. Bedding: King bed, split king bed, split king bed, queen bed and bunk bed. split king bed and full bathroom with a standup shower. One level below the ground floor is the 3rd bedroom, also with a split king bed, deck and an en suite bathroom. The private laundry facilities are also on this level. The fourth bedroom is located on the lowest level. It features an en suite bathroom with steam shower and separate entrance. This level contains a queen bed, a bunk bed and a pullout sleeper. The villa has a private outdoor hot tub (accessed from the lower level), wireless Internet and a private heated 1 car garage. There is also room for another vehicle in the driveway. outside the garage. Guests at Villas at Tristant enjoy easy ski access through a funicular lift just steps from the residences. The lift takes just a few minutes to ride and drops you off at a convenient location on the Village Bypass ski run. 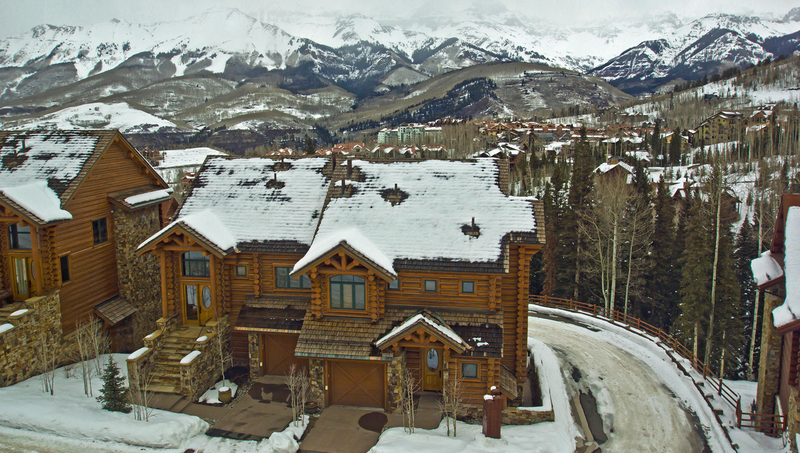 Villa 211 at Tristant is a custom built residence in Mountain Village just steps from ski access. 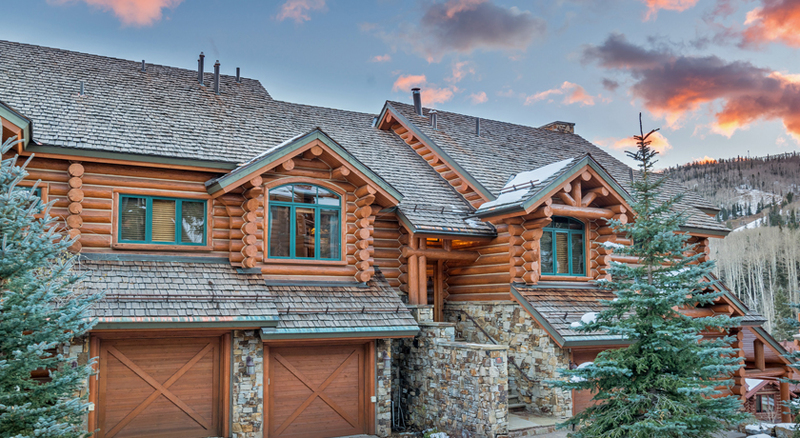 Classic log construction, stellar mountain vistas and the finest appointments define this luxurious residence. Bedding: King bed, split king bed, split king bed, split king bed, queen bed and two sets of bunk beds. This luxury townhouse with professional interior designs is accessed through the main front door on the ground level. Enter onto the main floor where you will find the Great Room with plentiful, comfortable furnishings and a roaring gas fireplace. 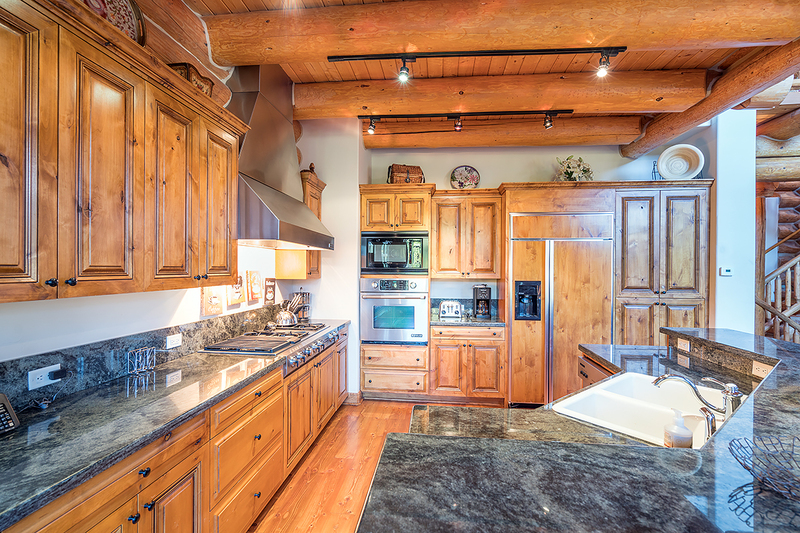 Adjoining is the gourmet kitchen with granite counters. Sub-Zero and Viking Appliances, and a bevy of kitchen gadgets to please the most discerning chef. The dining room provides seating for 8 guests and there are four stools at the bar. 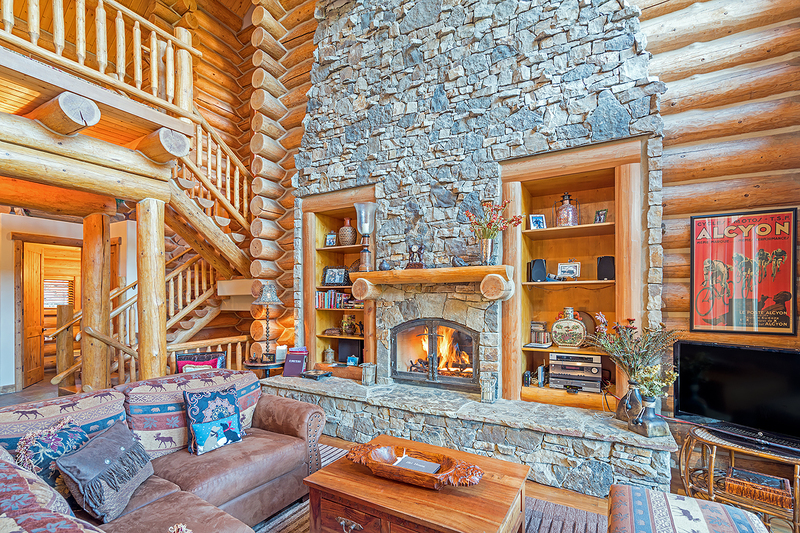 There is also a large balcony accessed from this floor with incredible views north toward the Sneffels Range, teak deck furniture and a Wolf gas grill. A convenient half-bath completes this level. Upstairs is the Master Suite with a king bed, flat screen TV and a large ensuite bathroom with a jetted tub and separate steam shower. The 2nd bedroom with a king bed (that can be made up as 2 twins) is also located on this floor with a separate bathroom across the hall with a standup shower. One floor below the main floor are two bedrooms, each with a splittable king bed, deck and an ensuite bathroom. The private laundry facilities are also on this floor. One floor down from there you will find another bedroom with a queen bed and two bunk beds. 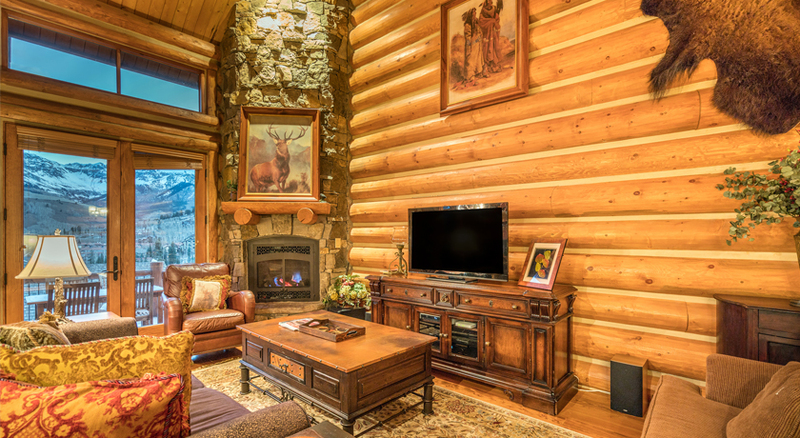 A full bath, media room with large flat screen TV and billiard table complete this level. Each villa has a private outdoor hot tub (accessed from the bottom floor), wireless Internet and a private heated 1 car garage. There is also room for another vehicle in the driveway outside the garage. Guests at Villas at Tristant enjoy easy ski access through a funicular lift just steps from the residences. 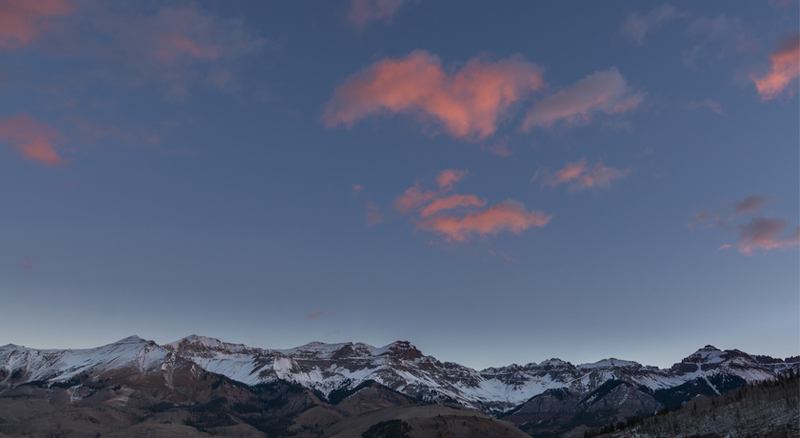 The lift takes a few minutes to ride and drops you off at a convenient location on the Village Bypass ski trail. 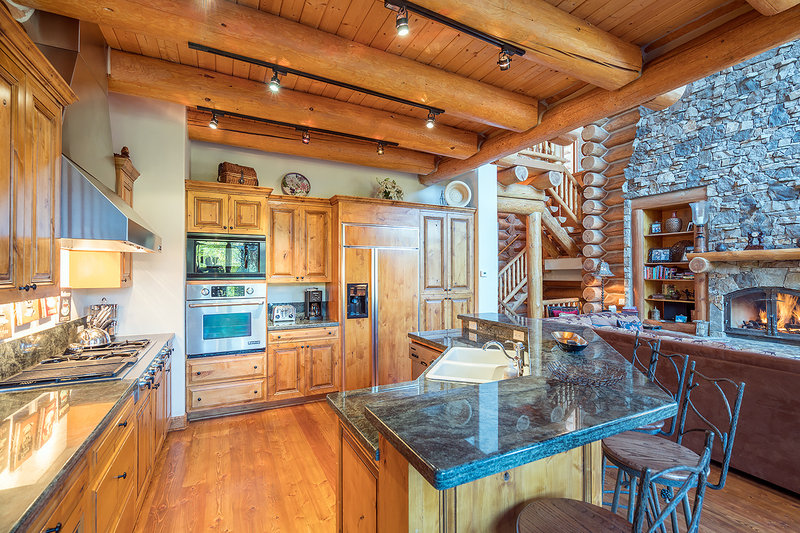 Quick walk to Ski Access from Townhome - Private Hot Tub - Great for Families! 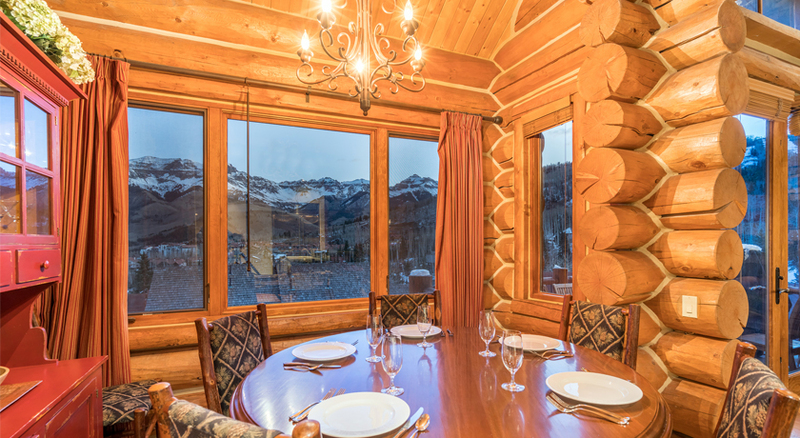 Located in Mountain Village, Villas at Tristant 223 offers a ski-in ski-out experience with the convenience of a funicular.